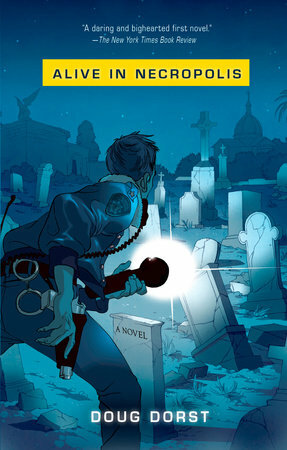 A "dark and funny debut"(Seattle-Times) about a young police officer struggling to maintain a sense of reality in a town where the dead outnumber the living. Colma, California, the "cemetery city" serving San Francisco, is the resting place of the likes of Joe DiMaggio, Wyatt Earp, and William Randolph Hearst. It is also the home of Michael Mercer, a by-the-book rookie cop struggling to settle comfortably into adult life. Instead, he becomes obsessed with the mysterious fate of his predecessor, Sergeant Wes Featherstone, who spent his last years policing the dead as well as the living. As Mercer attempts to navigate the drama of his own daily life, his own grip on reality starts to slip-either that, or Colma's more famous residents are not resting in peace as they should be.